Should drug makers be required to disclose their costs to justify rising prices? This is what a growing number of state legislatures are considering. Over the past several weeks, lawmakers in a handful of states stretching from California to Massachusetts have introduced bills in a bid to force the pharmaceutical industry to conduct an economic striptease. The bills are not wholly identical. 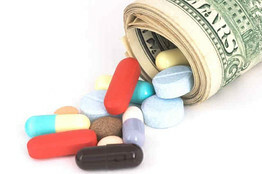 Some would require drug makers to report profits and various operational costs for any medicine that has a price tag of more than $10,000 a year, while others seek this information for all medicines, regardless of price. A bill was also introduced in North Carolina. The effort comes as a national debate intensifies over prices for prescription medicines. Over the past year, payers – both public and private – have remonstrated over the cost of new specialty drugs for hard-to-treat ailments and for older generic drugs that were supposed to offer low-cost alternatives. A new poll by the Kaiser Family Foundation found that 76% of Americans overall – and across party lines – say their top health care priority is ensuring that high-cost drugs for chronic conditions, such as HIV, hepatitis, mental illness and cancer, are affordable. The issue is placing drug makers on the defensive, even as they argue pricey new medicines – notably, those for combating hepatitis C and certain rare diseases – represent good value for illnesses that would, otherwise, cost more to treat in the long run. These bills represent a new front, though, in trying to blunt escalating price tags. And the legislation is winning enthusiastic backing from business groups, consumers advocates and health insurers, which some legislators say have helped craft language. To what extent these bills may succeed is uncertain, at best. Drug makers, not surprisingly, are pushing back and recently helped defeat legislation in Oregon. Earlier this week, the pharmaceutical industry trade group testified against the bill in California, where a vote was postponed until next week in light of opposition, according to a legislative aide. Even if one or more bills were to become law, there is no certain path toward lowering prices. But the effort may resonate around the country, especially with the 2016 presidential campaign under way. “This may be a model that other governments may want to build upon,” says Jamie Love of Knowledge Ecology International, a non-profit group that tracks access to medicines issues.